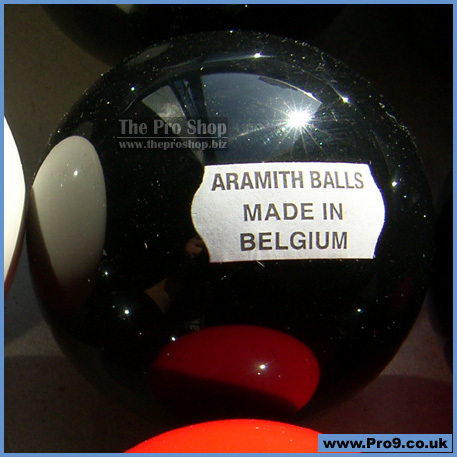 Aramith balls made by Saluc in Belgium. 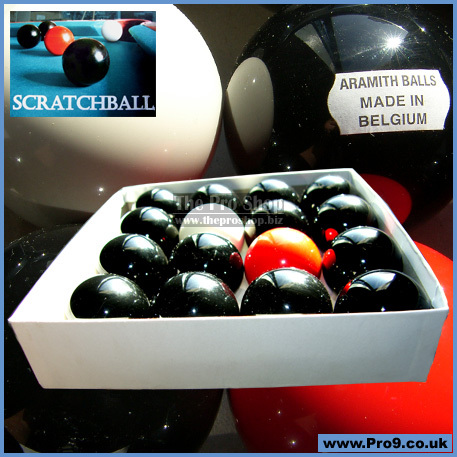 ScratchBall is a fast-paced, easy to play pocket billiards game based on scratching of the cue ball. 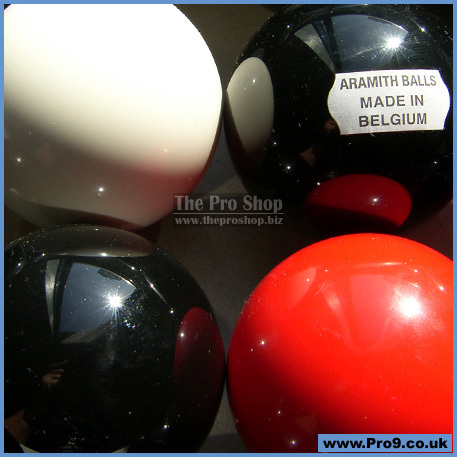 You can practice the game with standard billiard balls but get the regulation set when you get serious! 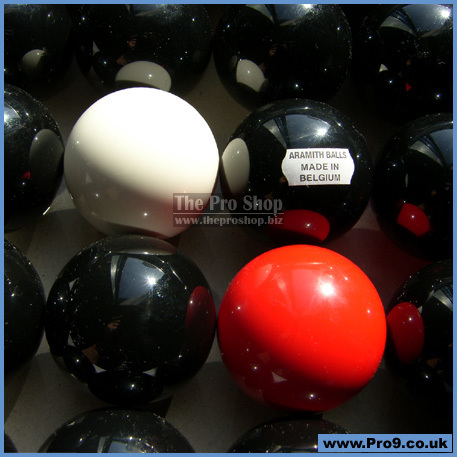 The regulation set comprises 14 black "counter" balls, one red "dead" ball, and one white cue ball. The object of the game is to pocket the cue ball. Fail to scratch and your inning ends and the next player approaches the table. Scratch and sink counter balls to get points. Rack Apex ball on foot spot. Break behind the head string. Scratch & sink counter ball = 5pts + continue. Scratch & sink dead ball = 10pts + continue. No Scratch & sink counter ball - 1pt + end turn. No Scratch & sink dead ball = 0pts + end turn. Foul = subtract 5pts + end turn. That is all you need to know to start playing as a casual player... A four page pamphlet containing the complete set of rules covering less common occurrences and situations, as well as a variety of ScratchBall games is included in every set of ScratchBall billiard balls or you can visit www.scratchballbilliards.com for more information. Due to the weight/size of this product free shipping is only available within the UK.